Dimensions (inches): Parchment: 4.5" x 4", Bird Image: 3.5" x 3.25"
Child's watercolor drawing of a golden yellow bird. The work was taken from a book of such drawings found in Lancaster County. 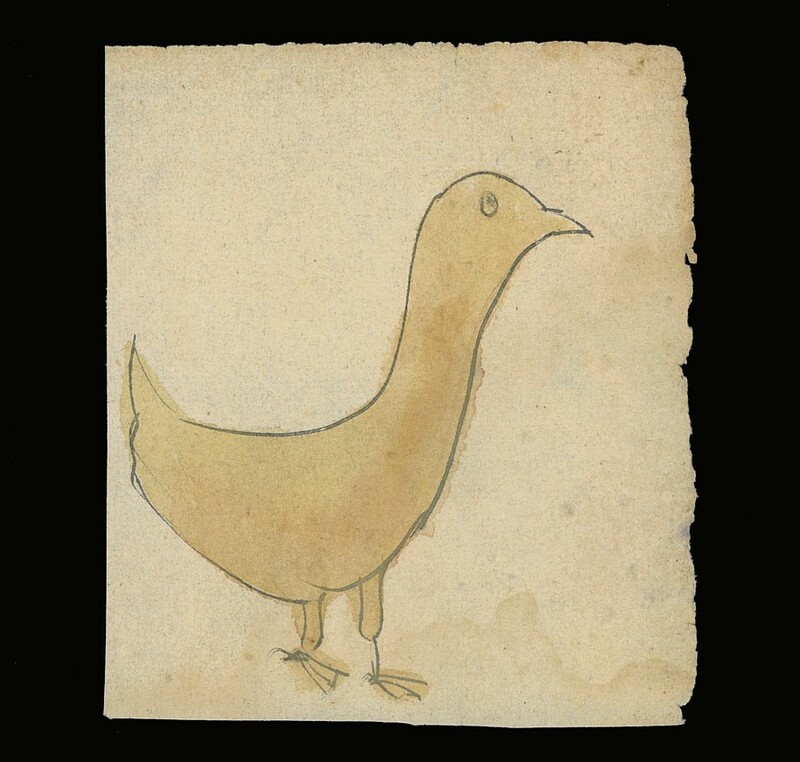 Size of Parchment: 4.5" x 4"
Size of Bird Image: 3.5" x 3.25"
Condition: Moderate foxing, creases, and edge wear.